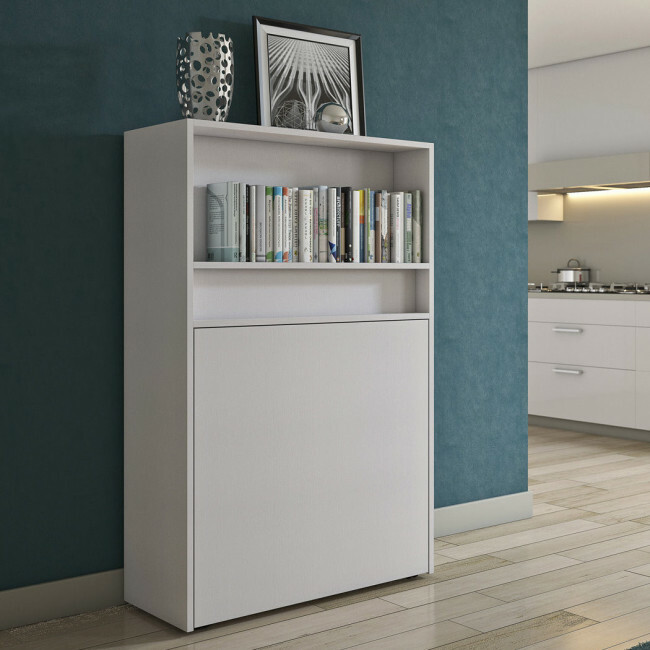 Link Bed 539-A is a space-saving cabinet with built in single folding bed and dining table or desk. It features a shelf on one side, a flap front and a "U" shaped leg hidden in the structure: once the front has been lifted, the leg can be positioned on the ground and used as a support for the tabletop. On the other side there is a pillow compartment and a front panel that hides the bed. 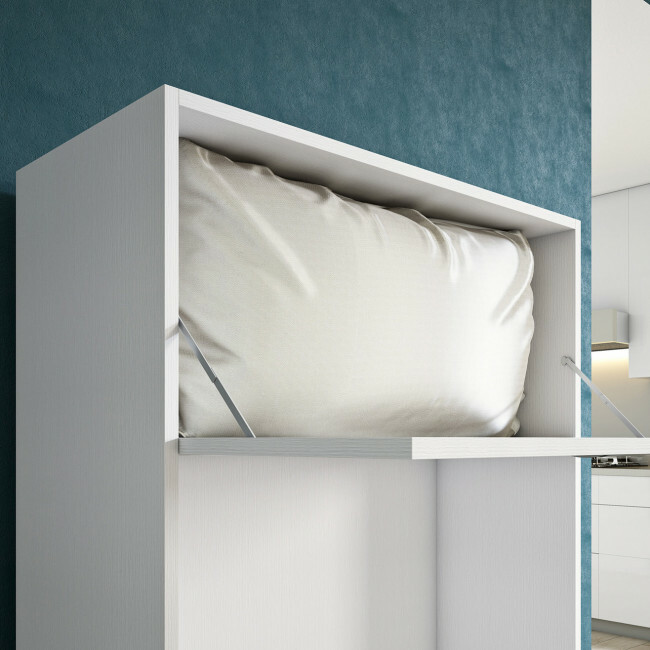 You just need to pull down the panel to reveal the bed frame with its folding base and mattress. 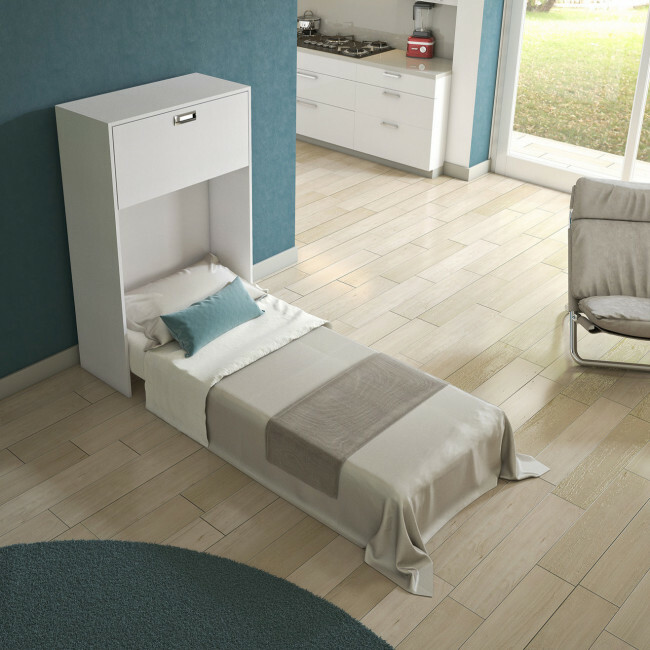 The cabinet is accessible from both sides so that the bed and desk can be used at the same time. The swivel castors allow you to move it around the house and to place it back against the wall when not in use. The shelf for books is a great feature if you want to place the cabinet in a hallway where it can perfectly work as a cabinet or consolle table for keys, bags, family photos. Link Bed 539-A includes swivel castors, pillow storage, a book shelf, a single slatted base and a mattress. Link Bed belongs to the Link collection: a modular system that allows you to create bookcases, office shelves with desks, media units for the living room, walk-in closets furniture, kids bedroom solutions.